Poster Palooza 17x23 Contemporary Black Wood Picture Frame - UV Acrylic, Foam Board Backing, Hanging Hardware Included! 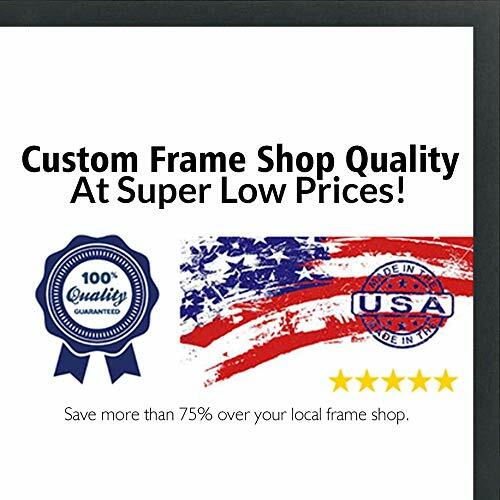 17x23 Contemporary Black Wood Picture Frame - UV Acrylic, Foam Board Backing, & Hanging Hardware Included!. This Wood Picture Frame has been built for images measuring 17x23 Inches.. Overall dimensions 17.5625x23.5625 Inches.. Moulding Width: 0.5625 Inches - Rabbet Depth: 3/8 Inches. UV Resistant Frame Grade Acrylic Sheet & Foam Board Backing Included.. Hanging Hardware included for vertical or horizontal display. This Wood Picture Frame has been built for images measuring 17x23 Inches. UV Resistant Frame Grade Acrylic Sheet & Foam Board Backing Included. Hanging Hardware included for vertical or horizontal display. If you have any questions about this product by Poster Palooza, contact us by completing and submitting the form below. If you are looking for a specif part number, please include it with your message.